This is the newer of the two burial grounds and vehicles can be driven into this cemetery if required. On the side of a slight hill for those who have difficulties walking and when I visited the main paths were slippy where cars had been impacting snow previously. Grave Reference: Sec. G. Grave 565. Grave Reference: Sec. C. Grave 156. Additional Information: Son of Alexander and Jessie Beveridge; Husband of Adele Beveridge of Newtongrange. Grave Reference: Sec. H. Grave 316. 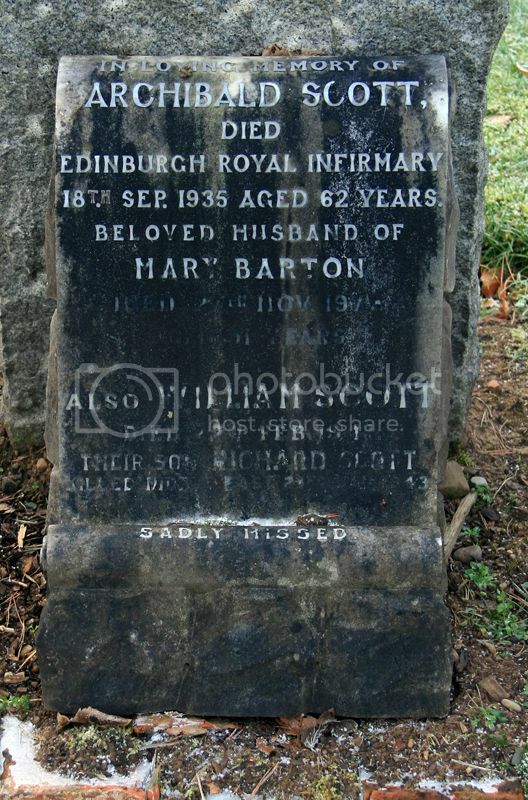 Additional Information: Son of William and Nellie Greenfield Currie; Husband of Mary Currie of Newtongrange. Grave Reference: Sec. F. Grave 402-403. Additional Information: Son of James Simpson Alexander and Mary K. F. Dea of Newtongrange. Grave Reference: Sec. C. Grave 278. Additional Information: Son of Abram J. Haldane and Elizabeth Dodds Haldane of Newtongrange; His brother Andrew also died on service. 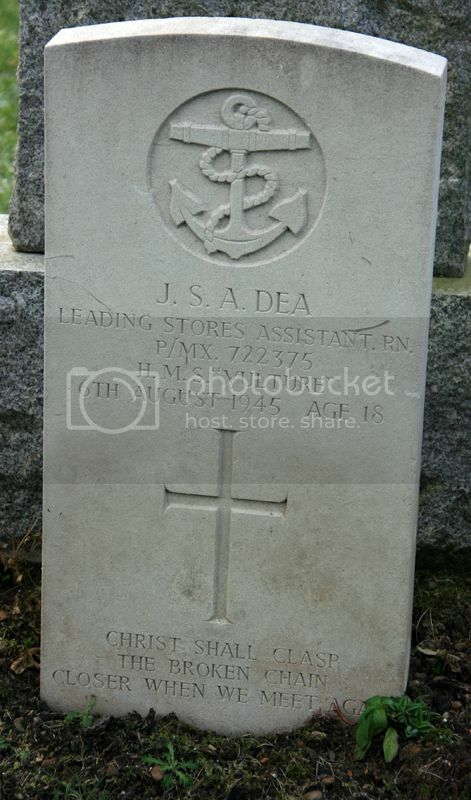 Additional Information: Son of Abram J. and Elizabeth Dodds Haldane of Newtongrange, Midlothian; His brother, Sgt. 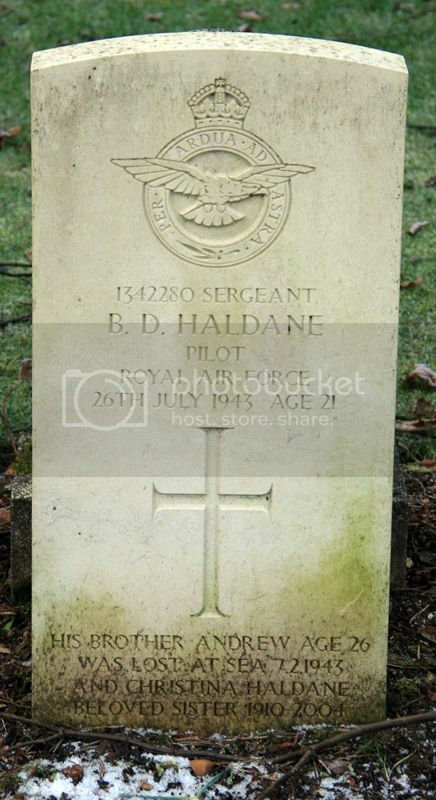 Brodie Dodds Haldane, died in the United Kingdom. Grave Reference: Sec. C. Grave 137. Additional Information: Son of John and Helen Coggins McDermott; Husband of Elizabeth McDermott of Bellshill, Lanarkshire. Grave Reference: Sec. G. Grave 305. 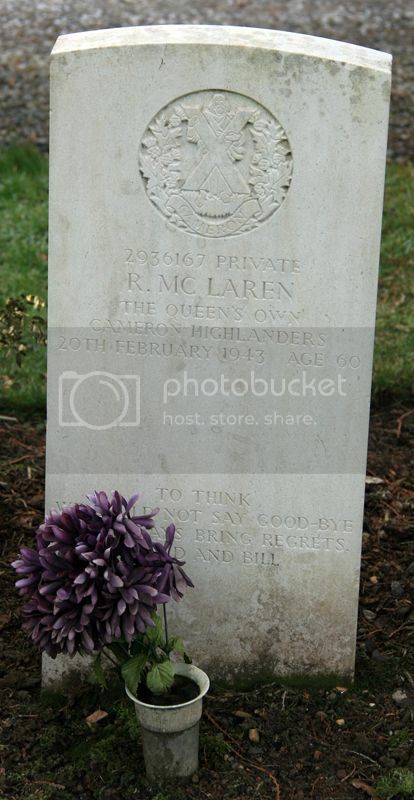 Additional Information: Son of Robert and Helen McLaren. 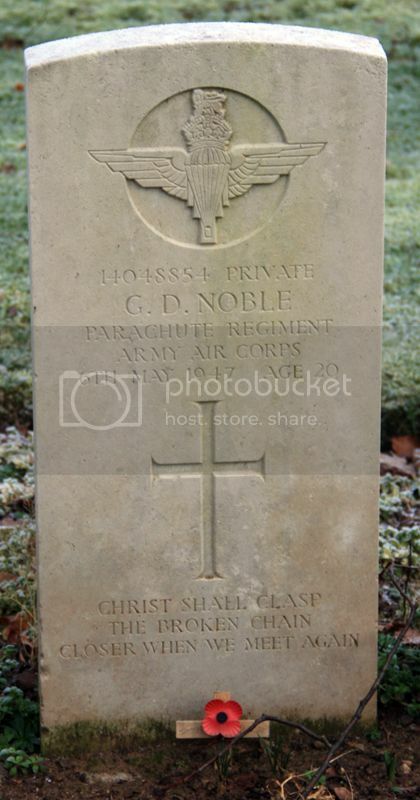 Posted: Fri Jan 23, 2015 3:36 pm Post subject: NOBLE, G. D.
Regiment/Service: 5th (Scottish) Bn. The Parachute Regiment, A.A.C. Grave Reference: Sec. K. Grave 435. Additional Information: Son of Alexander and Mary D. Noble of Newtongrange. 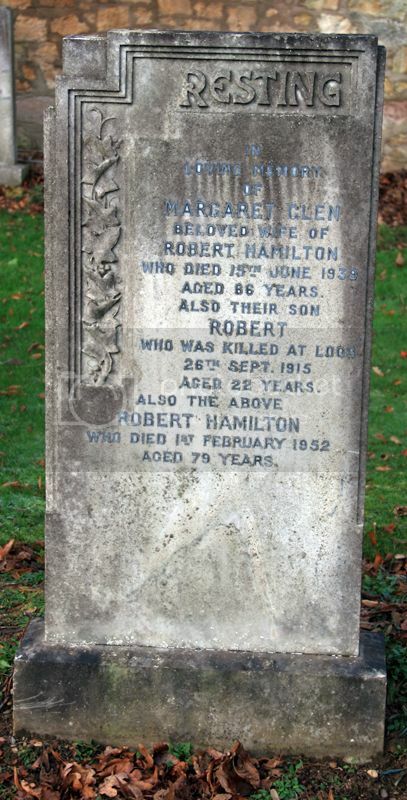 Additional Information: Son of Robert and Margaret Hamilton of 65 Union Street, Cowdenbeath, Fife. 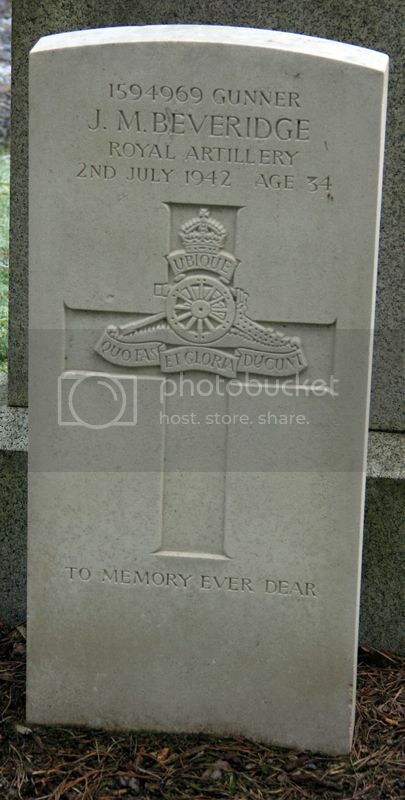 Additional Information: Son of Walter and Jessie Raper; Husband of Laura Raper of Sholing, Southampton.